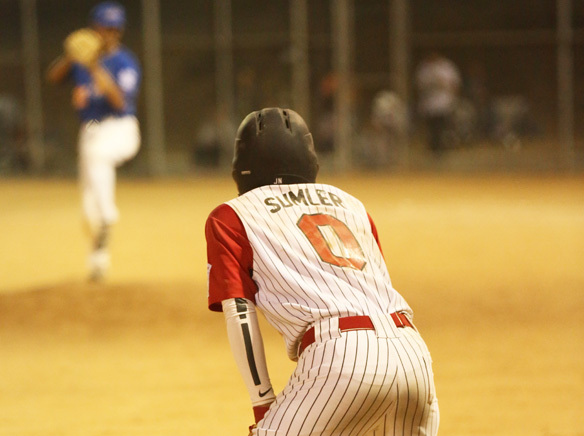 Kudos must go to Spring Valley Little League’s mighty Senior Division team after it wrapped up a runner-up finish in the Southern California Division III state championship tournament last weekend in Manhattan Beach. 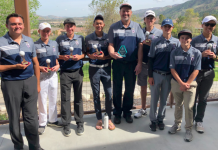 After winning California District 66 and Section 7 championships, Spring Valley qualified to compete in the division tournament after defeating Section 10 champion Central Garden Grove, 6-5, on July 23, to finish as Southern California-South Sub-Division III champions. Spring Valley met Southern California-North Sub-Division III champion Manhattan Beach for the Division III title in last weekend’s best-of-three championship series. Manhattan Beach won by scores of 12-2 and 15-0 to advance to the West Region tournament in Ontario—the final step before the Senior League World Series in Maine. Despite the loss in the state championship series, it was still a proud moment for the league, noted Spring Valley Little League President Hope Bedsole. District 66 Administrator Rolland Slade concurred with Bedsole’s sentiments. Spring Valley finished with a final 7-5 win-loss record over the span of four post-season tournaments. The team entered last weekend’s state championship series with a 7-3 record through sub-division play. Making good things happen on the field were manager Eddie Camacho and coaches Gilbert Valero and Kirk Williams. 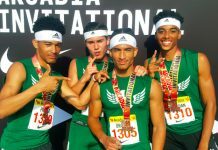 Players included Krystian Camacho, David Garcia, Junior Sandoval, Thomas Shawcroft, Miguel Angel Orozco, Angel Abarca, D›Angelo (D›Lo) Wanton, Andrew Montijo, Kirk Williams, Ernie Valdez, Jose Alvarez, Juan Davalos, Juan Nicasio and D›Andre Sumler. District 66 is comprised of 10 leagues stretching from downtown San Diego to Spring Valley and includes residential areas between Highways 54 and 94. Slade noted that this is the third time over the last 14 years that Spring Valley has advanced to the Southern California Division III championship. 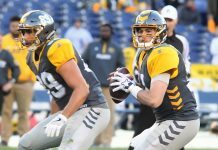 “Getting to the division championship is a tough road in itself, as there are more leagues generally in Southern California than there are in some states,” Slade explained. Slade said that if a formula for success exists, it deals with “good players, good coaches, solid support and a desire to stay together,” he explained. “These young men are talented and they play the game the right way,” the District 66 administrator said. “That is, they play together as a team and for each other. They understand they represent their league, but also their families and the community. All 10 of the leagues in the district charter Senior Division teams, though Slade noted that some of the leagues combine to field a team. Spring Valley Little League fielded four Senior Division teams this season. This year’s Spring Valley all-star team was comprised of players from both leagues in the district that are in Spring Valley. Spring Valley Little League contributed 11 players while Valley De Oro Little League contributed three players. Slade noted that SVLL’s Bedsole and Valley De Oro Little League President Michael Chism applied for a combined team back in January. Players come from a tight-knit geographic area, attending either Mount Miguel, Monte Vista or Helix Charter high schools. When asked why District 66 seems to do well in the Senior Division all-star tournaments each year, Slade said he could not point to any one reason. Slade said he felt the overall success of teams from Section 7 has a lot to do with cooperation between the various district administrators: Jose Larios (District 22/Imperial Valley), Kimberly Mowrey (District 41/East County), Ernie Lucero (District 42/Chula Vista) and himself. “We work hard at helping not only our leagues but each other,” Slade explained. “When you look at the overall success of Section 7 throughout all levels of Little League Baseball, you have to be impressed. Section 7 teams have won one Little League World Series championship, three U.S. national championships and six state championships in the last five years. That is quite an accomplishment! Howdy very nice web site! !